After three pregnancies, I often have lower back pain. Especially after a day of cleaning the house. I prefer not to take any medications besides an Ibuprofen every now and then. Luckily, I was recently contacted by Zim’s Max-Freeze to write a review on their products. Zim’s® started over 60 years ago with the creation of Zim’s Crack Creme® by a pharmacist in Austintown, Ohio. 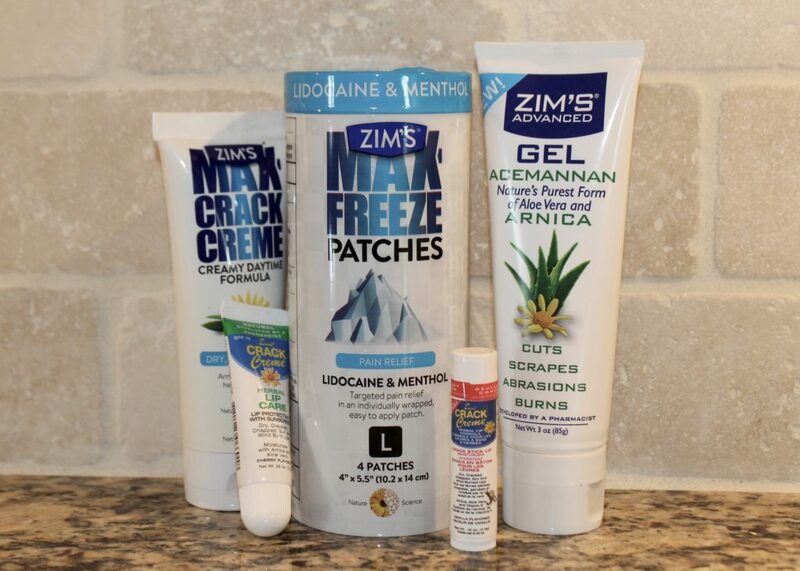 Today, the Zim’s® brand has expanded to over 25 products ranging from lotions and cremes to pain relief gels and diabetic care items. The Zim’s Max-Freeze® brand provides an affordable topical pain relief gel that emphasizes the use of natural ingredients such as Ilex Flower and Aloe Vera. Zim’s® continues to offer exceptional naturally-based products from a small town in Ohio. We look forward to expanding more in the future to provide you with products that utilize the power of natural ingredients to a make a difference in your life and those you love. The Max-Freeze patches are a new product in the Max-Freeze line. They are topical patches that provide temporary pain relief with lidocaine and menthol. 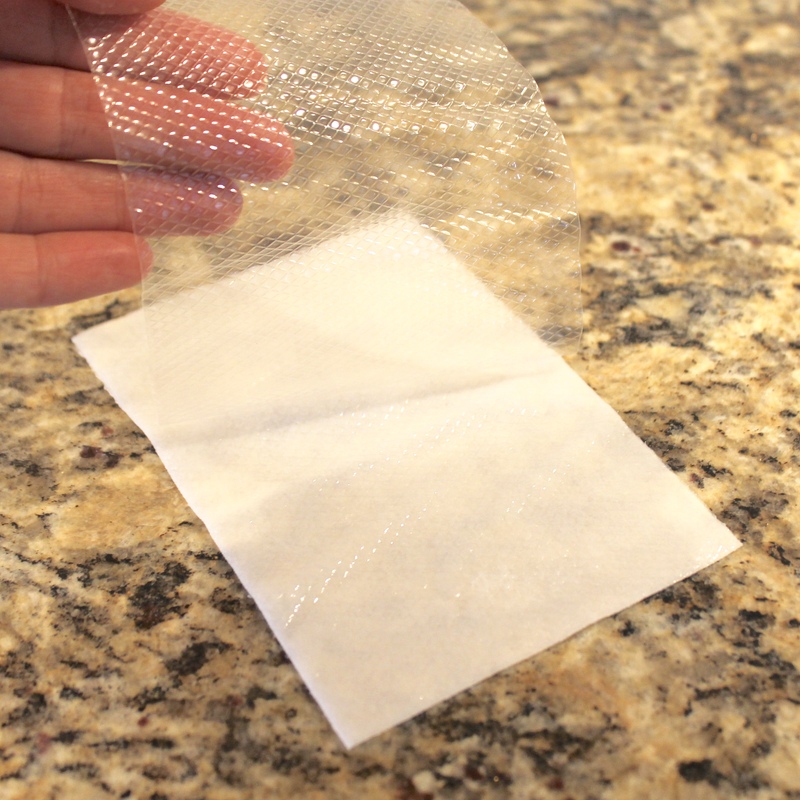 You simply remove the patch from the packaging, peel off the backing and place on skin. At first touch the sensation is cool. After about ten minutes, there’s a tingly mentholated feeling. In my opinion the pain relief is greater compared to its competitors on the market. Most importantly, I don’t have to rely on harmful drugs to ease my pain. The patches are available in sizes medium, large, and extra large. They’re $10.99 per package containing 6, 4, or 3 patches depending on size. This is another new product from Zim’s. Used as a protectant for minor cuts, scrapes, abrasions and burns. This product contains Acemannan, nature’s purest form of Aloe Vera. The gel is thick and cooling. My children like the way it seems to take the sting away from cuts. $9.99 for 3 oz tube. Zim’s Crack Creme Crack Stick Lip Moisturizer Vanilla Flavored is an herbal lip formula. Zim’s Crack Creme Crack Stick Lip Moisturizer Vanilla Flavored utilizes the power of Zim’s Crack Creme formula to moisturize the delicate skin on your lips. Zim’s Crack Creme Crack Stick Lip Moisturizer Vanilla Flavored soothes dry, cracked, chapped, wind burned lips. Zim’s Crack Creme Crack Stick Lip Moisturizer has a tasteful vanilla scent and is infused with Arnica, Aloe Vera, and Vitamin E. Zim’s Crack Creme Crack Stick Lip Moisturizer Vanilla Flavored is another Zim’s cold-weather essential. Condition your lips naturally before they get chapped with Zim’s Crack Creme Crack Stick Lip Moisturizer Vanilla Flavored. Like I mentioned earlier, I struggle with dry skin year round. My lips are no different. Zim’s Crack Creme Crack Stick Lip Moisturizer seems to have a thicker formula than Chapstick. My favorite part: all the ingredients are completely natural! Zim’s Crack Creme Lip Formula moisturizes cracked, chapped and wind burned lips. Use it all year for soft, smooth lips. Arnica & Aloe Vera with Cherry Flavor. This product is great because it moistures while keeping you safe from the sun. It’s especially useful for beach and ski trips. Zim’s has an unique formula base of a combination of natural and scientific ingredients. They have an entire line of products including Lip Care, Pain Relief, First Aid, Diabetic and Adult Care. They also have gift sets that come packaged in a cute box of your choice. Zim’s is giving away a set of Max-Freeze Patches in the medium size to a lucky reader! Enter to win! Giveaway ends 9/26. U.S. Only. *I received products in exchange for this review. All opinions are my own.